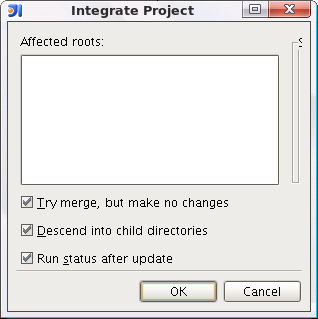 I'm trying to integrate project with subversion, but the "Integrate project" dialog seems quite strange - see screenshot. Can anybody tell me whether it's a bug or I missed something? I would really like to import my project to subversion but I can't. What can I do with the problem on the screenshot? project" dialog seems quite strange - see screenshot. to Subversion" or "Share Project" action. I didn't find "Share Project" in IDEA 7 but finally I committed my project.